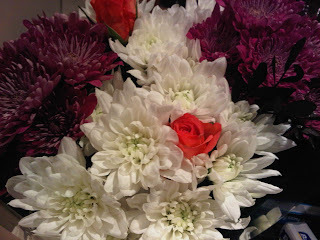 Blog posts at the minute are few and far in between, I currently do not have an oven!! This is proving most difficult, especially as I have a long list of christmas bakes up my sleeve. Luckily, I managed to fit in some baking for my brother before the oven was removed and, as a thank you, received some wonderful flowers! As always, apologies for the useless photos! Anyway, I made a chocolate victoria sponge not too long ago and it went down really well, better than any cake I normally make! So, when my brother asked me to make some cakes for work, I decided to make another sponge. 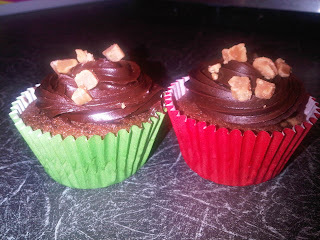 I also made some chocolate fudge cupcakes with chocolate fudge buttercream. 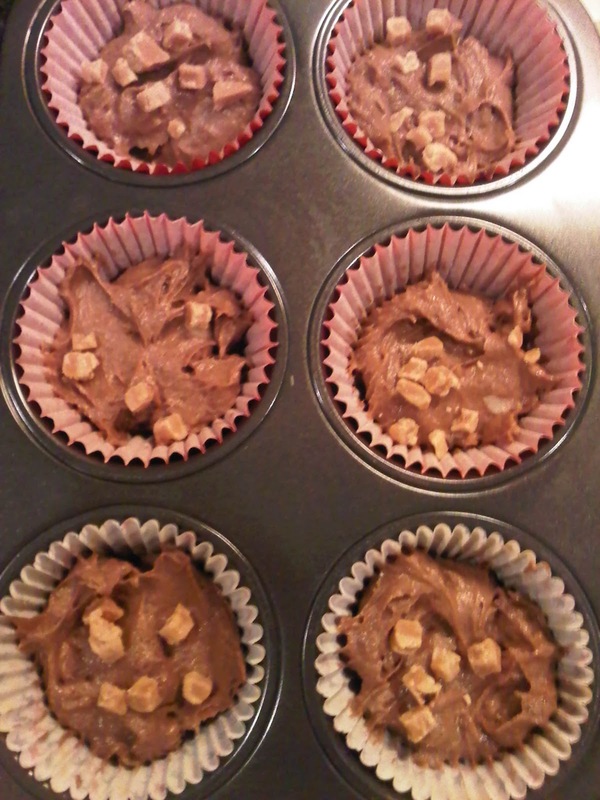 Overkill, maybe, but they were really lovely and the fudge melted into the cake. 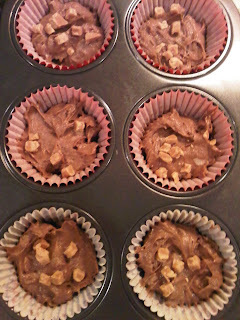 I used my favourite cupcake recipe and substituted the white chocolate for fudge pieces. I put them in festively coloured cupcake cases, and topped them with Betty Crocker chocolate fudge buttercream. I know this is cheating, but its just sooo tasty!! 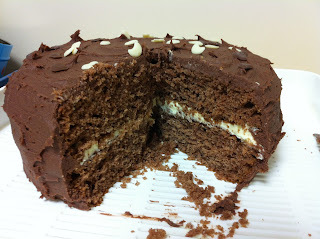 I'm still struggling with my icing, if i do it from the middle outwards, it doesn't cover the whole cake. If I do it from the outside, I don't get a good peak, see what I mean? 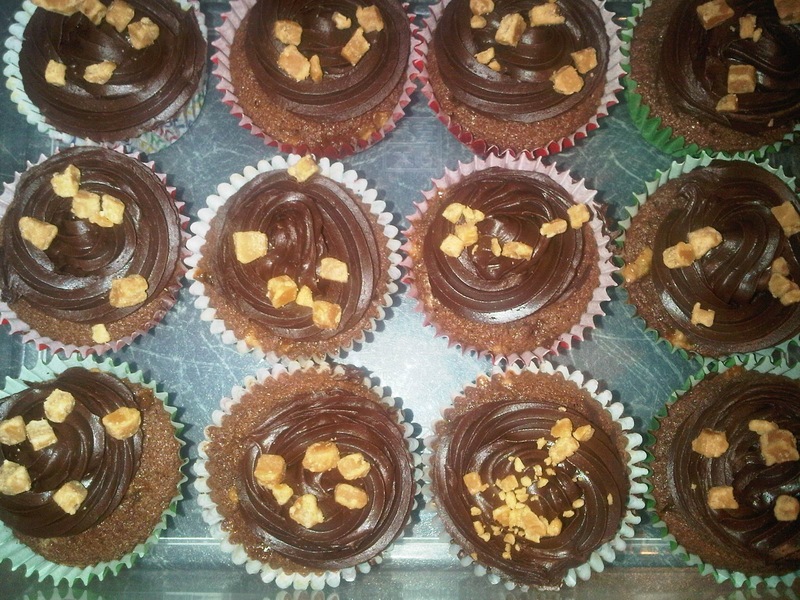 They went down a storm, which is all I can ask for, I'll just keep practising! -Measure the remaining ingredients into the bowl and beat until thoroughly blended- I've previously found that this method doesn't create a good rise so used the creaming method which worked brilliantly. -Leave to cool in the tins for a while then turn out and leave to cool on a wire rack. 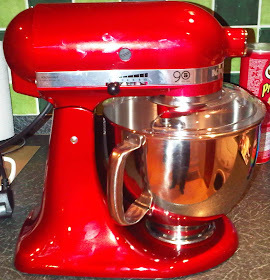 -For the buttercream, beat the butter, icing sugar and milk until smooth- I found more milk and cocoa powder was necessary! Yum!! It all looks so good. It's only natural to try, and then double/triple check that the icing tastes good ;) Have you tried using a bigger piping nozzle? I found my swirls looked better once I invested in a big nozzle, like a Wilton 1M or the big ones in Lakeland. 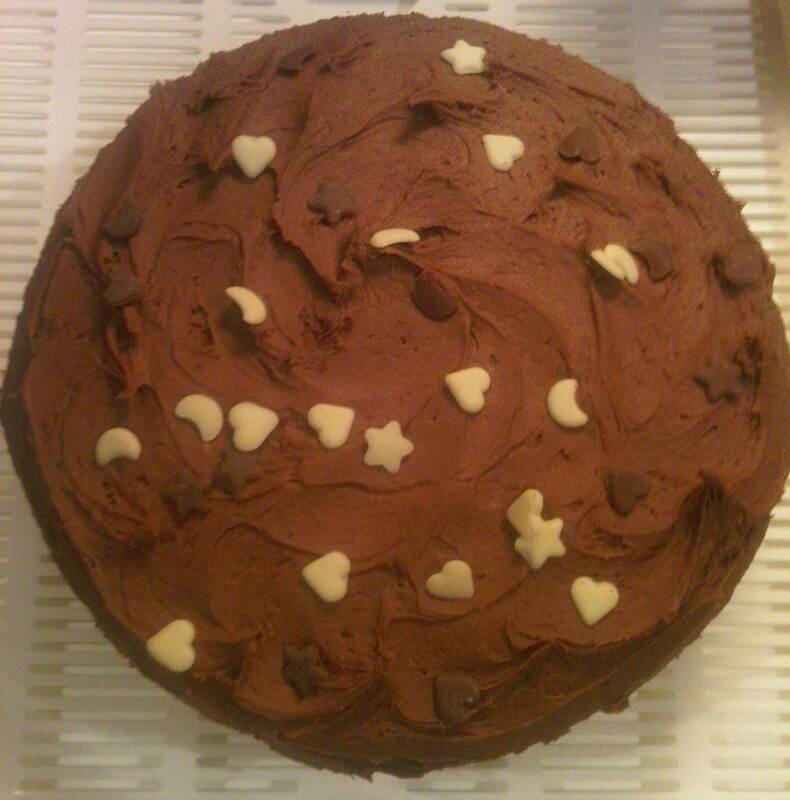 Practice does make perfect when it comes to frosting swirls so just keep going! If you start from the outside, you might need to make each ring of frosting tighter on top of the one underneath (if that made sense!) 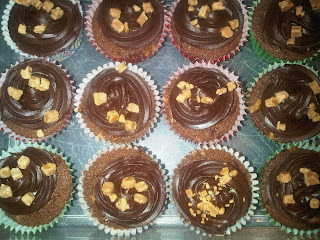 Choc Fudge, you can't beat that for a tasty combo! and I also agree that the 1m nozzle is where it's at! Thank you everyone :) I'm currently using a set of large nozzles from Lakeland but I've got a Wilton 1M on my christmas list so hopefully this will improve things!